Now that '13 Reasons Why' season 3 has been confirmed at Netflix, we can OFFICIALLY get into all the wild theories. 1. Was Hannah pregnant when she died? We’re guessing season 3 of ’13 Reasons Why’ will scale back on focusing on Hannah. However, the theory of a hidden pregnancy before her death might draw the focus on her at least in a small way. Some fan theories have pondered whether the secret that Tony kept for Hannah involved an unplanned pregnancy. This is bolstered, perhaps dubiously, by the fact that Hannah’s ’11 Reasons Why Not’ also included a line about ‘making a difference in someone else’s life’. 2. Did season 2 take place in 2019? ’13 Reasons Why’ were clearly trying to reference the Columbine school shooting which took place April 20, 1999. When ’13 Reasons Why’ made the date for the school dance take place on Saturday April 20, there’s no way they could have been referencing this year. (April 20 was a Friday in 2018). So, either season 2 took place in 2019 or the writers screwed up their own timeline for no apparent reason. 5. Did Tyler kill Monty before heading to the school dance? On the list of wild theories that would turn season 3 on its head, we have the potential theory that Tyler already killed Monty before heading to the school dance. This is only born out by the fact that Monty wasn’t at the dance with everyone else. We’re going to have to call this one unlikely, though. 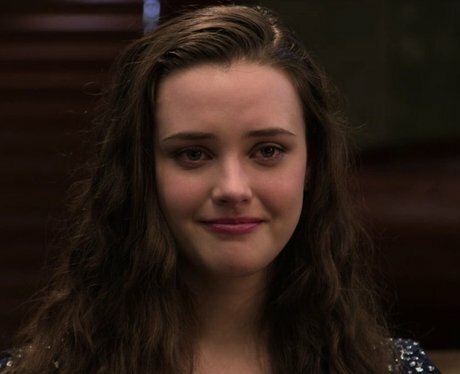 If ’13 Reasons Why’ creators have showed us anything, it’s how much they love a redemption arc. The “it was all in the character’s head” trope is rarely done well and starting season 3 on such unstable ground would be quite unwise. Saying that, the theory has been floating around and some people could imagine a scenario where Clay failed to stop Tyler from carrying out his plans and spends season 3 dealing with the fallout from that. 9. Could Alex and Zach get together? ’13 Reasons Why’ season 2 spent a lot of time teeing up a friendship between Alex Standall and Zach Dempsey. Could something occur between them in future seasons? Some fans believe so. They’ve both dated women in the past, but so have plenty of other men who date men. What do you guys think? Is a Zalex romance potentially on the cards for season 3?